…winner chicken dinner! 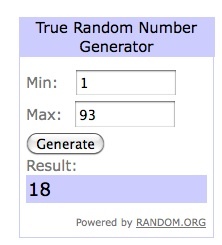 Using the good ol’ random number generator, we have a winner for the How to Cook Everything giveaway! And the lucky number is…. Big Apple Barbecue Block Party – THIS Weekend!